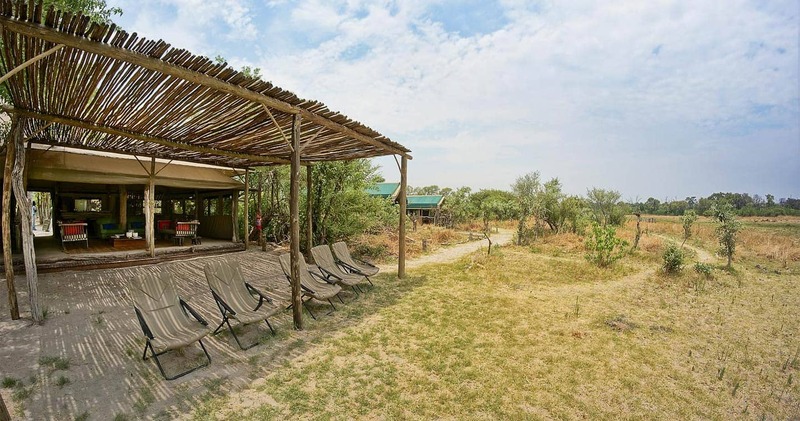 Situated on the outskirts of the traditional village of Khwai on the border of the far eastern corner of the Moremi Game Reserve in the Okavango Delta, is Sango Safari Camp. Nestled in the shade of trees, Sango overlooks the scenic Khwai River and Moremi Game Reserve, both magnificent wildlife areas. 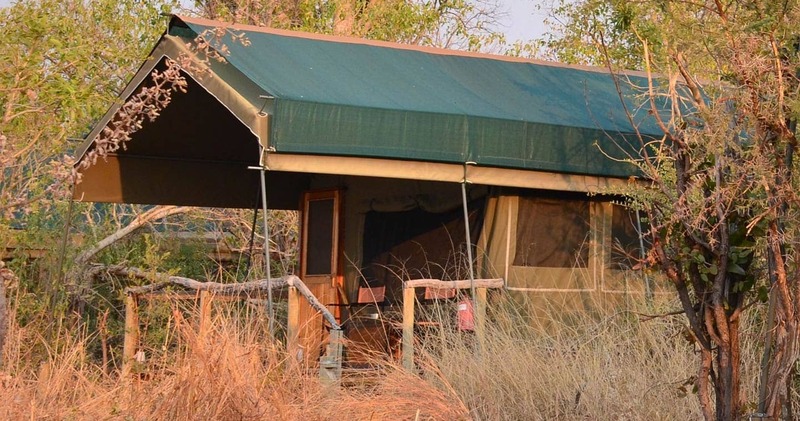 This camp doesn’t focus on all the luxury frills, but it accommodates your every wish in creating a unique, Botswana safari. 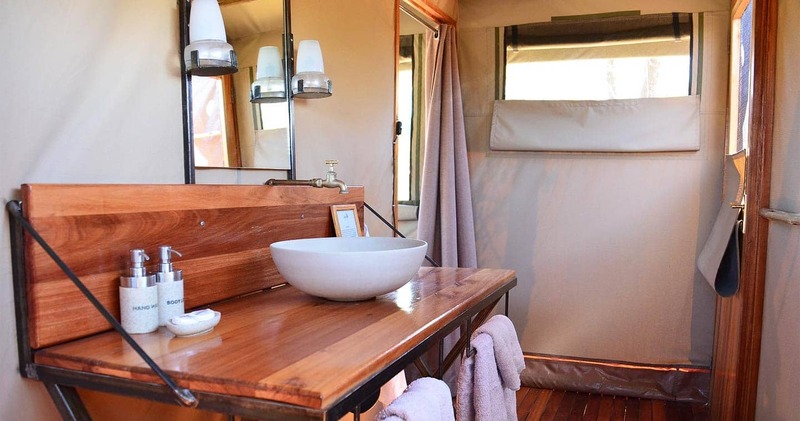 Named after and partly owned by the local Sango family, who collaborated with Bush Ways to develop the camp, you will be embraced by a rustic and intimate ambience. The location of Sango Safari Camp allows it to offer game drives in the Moremi Game Reserve and Khwai Concession, so prepare for some magnificent wildlife viewing within an ever-changing landscape. Tall green grass, a dense forest, bustling river life, colourful skies, hippos splashing in clear waters; this camp offers the full package. Venture out for safari activities that easily take up to four hours, while an enthusiastic guide points out all the highlights of this UNESCO-listed land. And highlights you will see – whether it is by safari vehicle or while gliding down the river in a traditional canoe; there are surprises around every corner. What can you expect when a local family partly owns a safari camp? 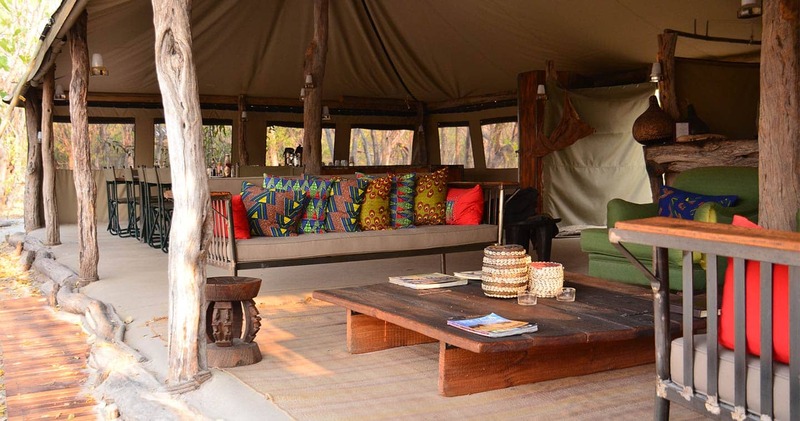 You will be sleeping under traditional canvas, as it should be during a true safari. 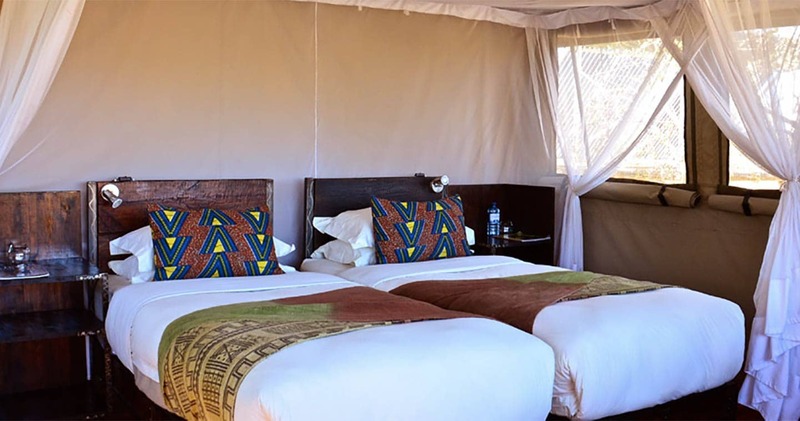 So at Sango Safari Camp, only twelve guests are accommodated in six, classic, Meru-style tents. Raised off the ground on wooden decks, the tents are en-suite with bucket showers, hot and cold water, flush toilets and a vanity basin. Beds are draped with mosquito nets and all tents face an open plain where the Khwai River flows. This lively river will ensure constant hustling and bustling; starting on crisp mornings as you sip your coffee on your deck, until way after sunset (as you enjoy the view accompanied by a cold gin-tonic). The camps communal areas are cosy and also under canvas, providing a warm atmosphere. There is a lounge with inviting chairs and couches, dining area – where delicious meals are served - and open-air boma with a fireplace. As you might have guessed: the boma is the perfect spot for reminiscing about the day under vast, star-studded, night skies. You won’t be disappointed in this concession known for excellent game viewing. Sango Safari Camp is ideally located along the Khwai river, forming a natural border between the famous Moremi Game Reserve and the Khwai Concession, with animals traveling freely from one to the other. One of the camp’s commitments is, not surprisingly, delivering an exceptional wildlife experience. The area boasts permanent water, seasonal flood plains, open grasslands, riverine forest and dry woodlands – and it is exactly this diversity in flora that attracts a broad range of wildlife. Because there is so much to explore, the camp not only offers game drives in the morning or afternoon, but also full day game drives. With, of course, the occasional break for homemade snacks and drinks. Another great way to more intimately know the area, is alternating game drives with a guided walk. You will be surprised how discovering the land on foot gives a completely different perspective. And a Delta safari is not complete without gliding down papyrus waterways in a traditional mokoro (dugout canoe). Let tranquillity come over you as you silently take in views of water lilies, waving reeds and bathing elephants. Intimacy with nature is in hand’s reach at Sango Safari Camp. This is a wonderful place to stay. The rooms were excellent, as was the food and the staff. The outdoor pool was an added bonus. The safari guides were very good, and we had a wonderful canoe trip on the nearby river, as well as the usual game drives. We will never forget the beautiful accommodations, impeccable service, delicious food and kind, knowledgeable staff we experienced during our three nights at Sango. Our time there will be remembered as the of our visit to Botswana! Could not recommend to others more highly. Sango Safari Camp is committed to protect to environment: it runs entirely on solar power and uses Eco-friendly products. Please note: A single supplement is only applicable in high season. Read all about travelling to Sango Safari Camp on our getting to Moremi page. Sango Safari Camp is best accessed through Maun Airport. Children of two years and older are welcome. We hope you have found all information needed to decide that Sango Safari Camp in Moremi Game Reserve is the perfect place for your next travel adventure. Please fill in the contact form and we will get back to you soon!